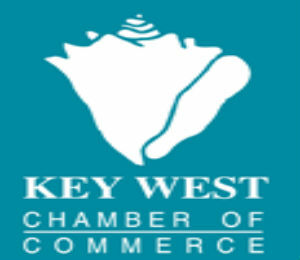 We are proud to announce we are the newest members of the Key West Chamber of Commerce! After years of hard work, and building up our company and tour from the ground up, we feel like we are finally gaining some traction and on a good route to a great success story! Between this and being awarded with recognition from Trip Advisor, we are completely humbled by our friends who helped us get to this point. Thank you all for the great reviews, and recognition that we are trying our best to give everyone of our visitors an unforgettable time in Key West as well as on our boat. We feel very fortunate to live on such an amazing island, that has such a strong community, and be able to meet some of the nicest people from around the world, looking to have a fun boat ride to some great snorkeling. We know that there is plenty of things to do, and that Ocean Vue is one of the many, so every time someone books their snorkeling trip in Key West with us, we couldn’t be more excited to show them “our world”. We have worked really hard to get us to this point so we are very happy to have these announcements to show that we have passed another milestone and give us more reason to keep going! So thank you to everyone who has “liked” us, visited us, and rated us with a great rating in Key West, without you all we would be no where, and we could not be more thankful to have met all of you! To contact the Key West Chamber of Commerce, you can call at (305) 294-2587, email them at info@keywestchamber.org, or visit their office at 501 Greene St., on the 1st floor.